In search of a reliable log splitter that can help you gain firewood and stay warm through the winter? Then I have just the right pick for you today. YARDMAX has been quite a popular gardening-tool manufacturing company for years now. And their range of log splitters is nothing short of reliable in my eyes. But if I were to pick a favorite out of all their ever versatile line-up, then their YU2566 25 Ton Full Beam Gas Log Splitter would be my pick for the day. Made with the highest in quality and modern engineering, this log splitter has been the go-to for my lawn care agency for months now. From splitting thinner logs to more robust California oak, the YU2566 has the capacity to not only go through the thickest stack but make extremely quick work of it. And I’m confident that it will appeal to you the same way it does to me. 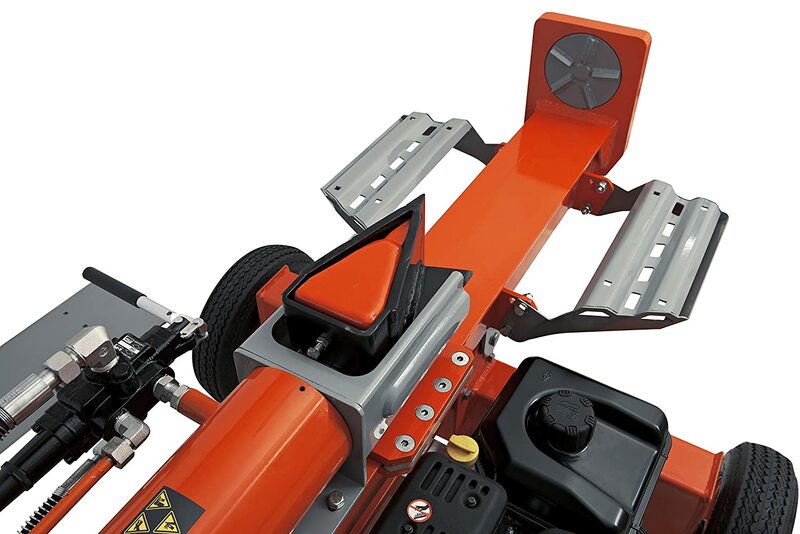 YARDMAX 25 Ton Log Splitter Reviews 2019: Why is it my pick for the day? The first time that I used the YU2566 was at my neighbor’s place last year. He had just bought it for himself as a birthday gift and had called me over to ask what I thought of it. So I gave it a whirl with some of the log stacks he had left over, and truth be told, the experience was quite amazing. I then thought to myself, “this is indeed something I can use for my business as well.” And what led me to this decision was something straightforward. When using the YU2566, I felt that it was the perfect combination of practicality and performance. And to top all things off, it felt very durable and robust while at the same time relatively easy to use. So, let’s take a closer look as to why that was the case. Briggs & Stratton engines power the YU2566 25 ton and all its variants of 28, 30 and 35 ton as well. Briggs and Stratton are quite well known in the mower and splitter world for their stress on quality and power output. And YARDMAX uses nothing but the best engines for their products. This is precisely what makes their splitters so very reliable when it comes to splitting force. 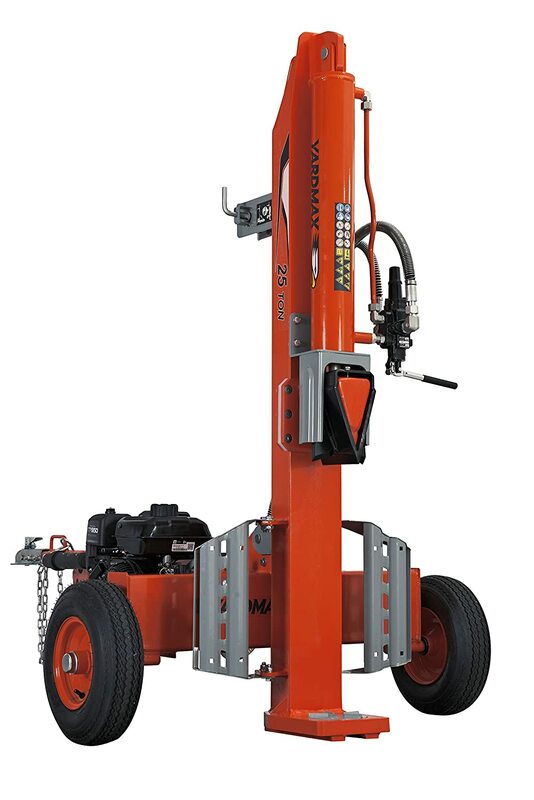 The YU2566’s cycle time is short as well, and it’s all thanks to the oversized hydraulic components. The auto-return valve minimizes the risk of manual stroke setting and significantly reduces the time it takes to go through each log. Something which I found to be quite unique to the YU2566 25 Ton was the variety of ways it lets me cut the logs. The standard way would be to split wood into two pieces, which the YU2566 achieves effortlessly with the help of its 2-way wedge. But there is another feature that allowed me to split logs of smaller diameters into 4 pieces by the use of their “Patent Pending 4-Way Wedge”. It is also very easy to attach this wedge to the dual log cradles which even come in 2 positions with an option for a mountable log table. 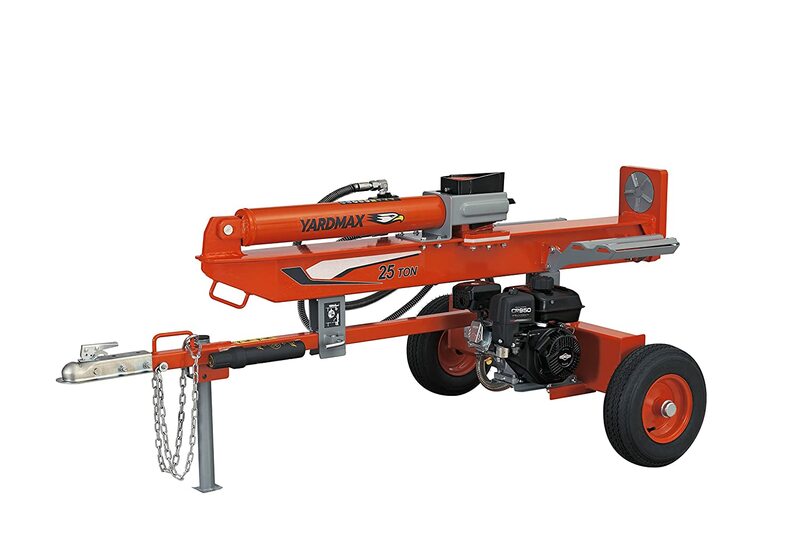 The YARDMAX YU2566 25 Ton is one of the most durable machines you will find in the market. And much of this durability is derived from the design of the dual end cylinder support which allows for equal weight distribution and wear reduction. The hydraulic oil filter is also fitted inside the reservoir so that it doesn’t receive any damage from falling logs and user entanglement. For added efficiency, the log strippers are mounted to the end of the hydraulic cylinders so that the mechanism won’t jam if the wood is too moist. The splitter will not arrive at your doorsteps with oil in the tank. And filling that tank is an extremely complicated task. Just the help of a simple funnel will not do it, and neither was the manual very helpful. After hours of use, at times I would find that the engine would stop. No spluttering, no sign of under load, it would just die. It’s quite annoying for longer jobs, and I can’t figure out if it’s a problem with overheating. Is the splitter towable? What is the size of the ball hitch? This splitter is extremely easy to tow. The ball hitch comes at a very convenient 2 inches size, making the splitter compatible with a lot of tractors. Do I need to manually hold the “Up” lever during splitting? Absolutely not! The YARDMAX YU2566 comes with an auto-return valve which will not require you to hold the lever in place for every stroke. This also significantly minimizes the splitting time. Is the splitter US made? No, the splitter is made in China. This bothered me at first as I was doubting its manufacturing quality as well, but after using it I realized how much sturdier it was from what I expected. It definitely has more features than the other units of the same price range, making it an amazing bang for the buck. What oil best suits the Splitter? 5/30 oil would be the most ideal, but variations work as well. Just try not to go past 10/30. When in search of the perfect wood splitter that can suit your every need, it’s quite easy to get lost and confused with all the varieties available in the market. But I hope that my YARDMAX Log Splitter review today on one of my favorite gardening tools was able to help you out a bit with your decision.